Scott D. Pierce: The real question is — why did NBC hire Megyn Kelly in the first place? Her blackface comments were no surprise. So Megyn Kelly expressed racist views on NBC. Is anyone surprised? Certainly her employers can’t claim this caught them off guard. NBC knew what it was getting when it hired Kelly away from Fox News, where her defense of blackface for Halloween costumes wouldn’t have caused anyone to blink. Yes, blackface. And, according to multiple reports, two days later Kelly was out at NBC. On Tuesday’s edition of “Megyn Kelly Today,” the host went off on how “political correctness has gone amok” and the “fashion police are cracking down” on costumes. ( Charles Sykes, Invision | Associated Press File Photo ) Megyn Kelly poses on the set of her show, "Megyn Kelly Today," at NBC Studios in New York in 2017. Geez, did she grow up in the Antebellum South? If you genuinely don’t think that blackface is racist, then — in the words of Jeff Foxworthy — you might be a redneck. You also might be a racist. Her statement was shocking, but not surprising. This is, after all, the person who used that same outrage to stoke racial divisions when she was at Fox News. That made headlines, but it was considerably less consequential than a lot of Kelly’s other statements at Fox News, where she had a history of racially charged behavior. There’s a long list of her comments about Black Lives Matter, Trayvon Martin, Michael Brown and on and on. I used to think that maybe Kelly was playing a role at the Fox News Channel. Surely, she couldn’t be that insensitive. That overtly racist. Her defense of blackface forced me to rethink. Under pressure, Kelly emailed her NBC colleagues to apologize. “Today is one of those days where listening carefully to other points of view, including from friends and colleagues, is leading me to rethink my own views,” she wrote in the email, which was strategically “leaked” to the press. Kelly followed that with a damage-control discussion about the issue so she could appear contrite. 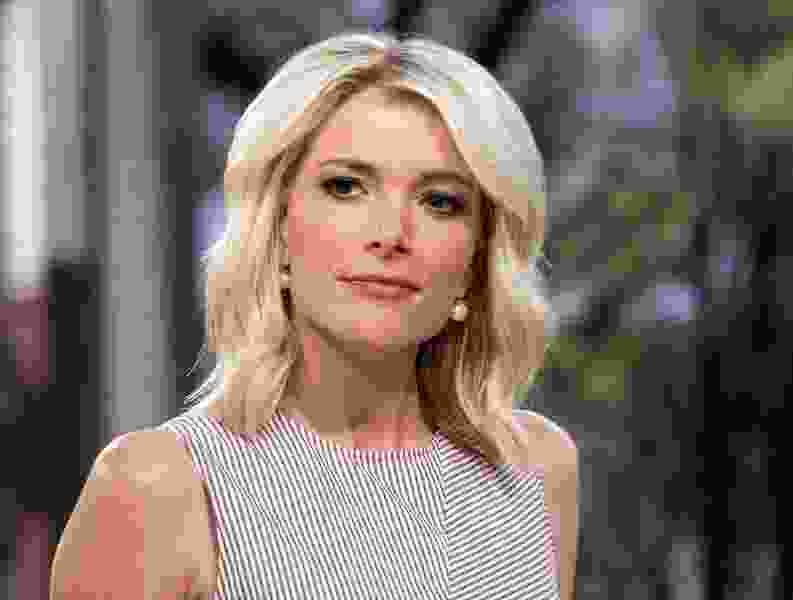 She got a standing ovation from her studio audience; once I hear her apologize for all those things she said on Fox News, it will be easier to believe she wasn’t just trying to save her job at NBC. C’mon, what’s the only kind of person who, in 2018, didn’t already know that blackface is wrong? The knives were out for Kelly at NBC. At Fox News, she would have been applauded. When NBC hired Kelly, there were widespread reports that her new colleagues weren’t exactly thrilled. Not just because she signed a reported three-year, $69 million deal — but also because of all the baggage she was bringing with her. Reportedly, she had been talking to NBC News execs about a different role at the network before the blackface comments; now it appears she will have no role at all. Given her history of racial insensitivity — to put it mildly — there would seem to be only one logical place for Kelly to end up. And she burned her bridges to Fox News.